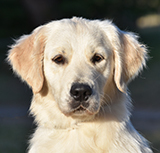 Sire:Supreme Ch. Fantango Playing the Game "Raffa"
Dam:Grand Ch. 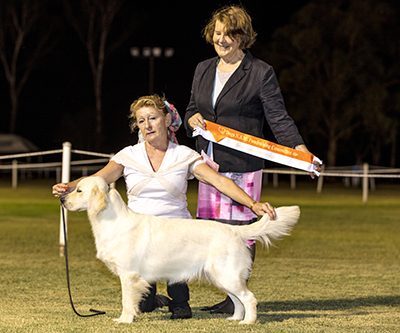 Dykinta Devine Right "Deity"
A champion at 12 months. 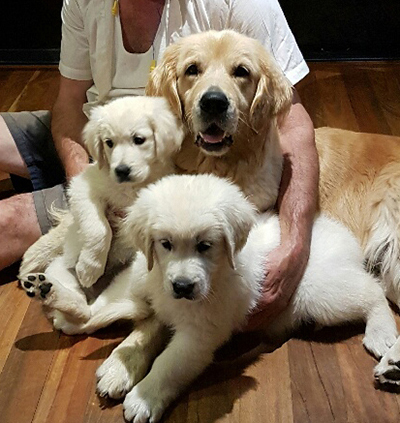 Athena and her litter mates all have a “devine” theme in honour of their mother. What could be more devine than Athena, the Greek goddess. 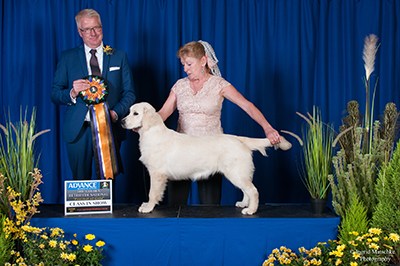 Athena finished 2017 as the number 1 Rising Star golden retriever nationally on the Dogzonline pointscore! !